A call to 911 on Sunday morning alerted first responders to a man who had fallen down an elevator shaft. According to the Seattle Fire Department, the fall was roughly 30 feet, and the man was found in the elevator shaft and extricated by emergency responders. 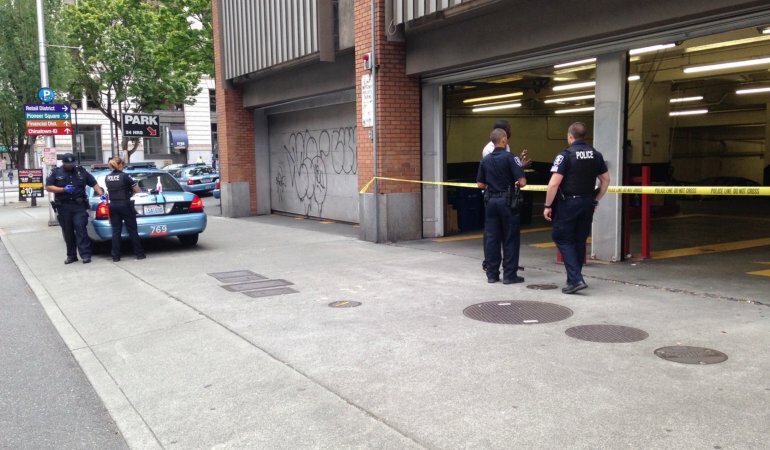 CPR was performed and he was rushed to Harborview Medical Center, where he later died. The man who died was working for Avis, a rental car company. The fall happened on Avis Car Rental’s downtown property at 1919 5th Avenue in Seattle. The circumstances of the fall are under investigation. Homicide detectives were called in to investigate; they have not yet told reporters whether anything about the apparent accident seems suspicious. Investigators from the Department of Labor and Industries and OSHA are also looking into the circumstances surrounding the fall. When workers are injured on a job site, their health care, time off work, and other damages are usually covered by their state’s Department of Labor and Industries through a program called Workers’ Compensation (sometimes referred to as Workman’s Compensation). Workers’ Compensation may also cover some of the damages that a bereaved family may suffer if their loved one dies. In Washington State, a surviving spouse or registered domestic partner and the dependents of a deceased worker can apply for benefits such as an immediate payment of 100 percent of the state’s average monthly wage; burial benefits up to 200 percent of the state’s average monthly wage; and monthly survivor benefits for a surviving spouse, children, or other dependents. While some attorneys specialize in this field, many worker’s compensation claims are handled without an attorney. In most cases, workers who were injured on the job or the families of workers who were killed on the job do not sue the employer. In some cases, however, a third party such as a contractor may be liable for creating hazardous working conditions. If a third party is liable, they may have insurance such as business or homeowner’s insurance that will cover some or all of a worker or their bereaved family’s damages. Some investigation may be needed to determine whether a third party is liable, especially in cases involving catastrophic injuries or death. In these cases, victims or surviving family members may need the help of a personal injury attorney to help them navigate the complex issues involved in the insurance claims process. If a worker’s death is due to an intentional act such as homicide, a third party such as a contractor will probably not be held liable. Investigation and sentencing of defendants in homicide cases happens in the criminal court and will be handled by police and a state-appointed prosecutor. However, in some rare cases, the bereaved families of homicide victims may be able to obtain some compensation if it turns out that an institution like the Department of Corrections failed to properly supervise the killer. In Washington State, family members who have suffered the wrongful death of a loved one can also request help with paying for funeral expenses, grief counseling, and other damages through the Crime Victim Compensation Program.